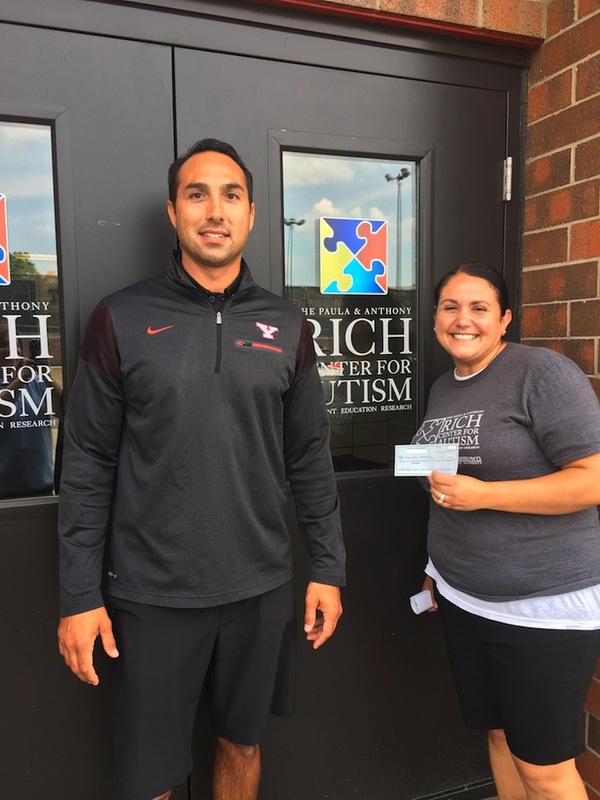 Above, from left are Steve Mientkiewics, an intervention specialist at the Rich Center for Autism and Pam Kassos, also an intervention specialist at the center, who applied for and received a $500 grant from the Autism Society of Mahoning Valley. Both work together in the same high-school classroom and are working to increase the job-skills program. Below, Kylie Luca, a special-education teacher at West Branch Middle School, received a $100 grant from the society.